Ken + Julia Yonetani’s work explores the interaction between humans, nature, science and the spiritual realm in the contemporary age. Their installations work within an interdisciplinary field, inspiring responses through all five senses – sight, smell, taste, hearing and touch. Ken + Julia created a sight specific work for BOAA at the Eureka Stockade Centre entitled Golden Pyramid. Golden Pyramid is an interpretation of “The Victoria Gold Trophy”, which was a central feature of the London International Exhibition of 1861. Nearly seventy feet in height, the tower represented the same volume of gold imported into Great Britain from Victoria during the gold rush years of 1851 to 1861, over 800 tons. The “Golden Pyramid” is a recreation of this display in a classic pyramid form. 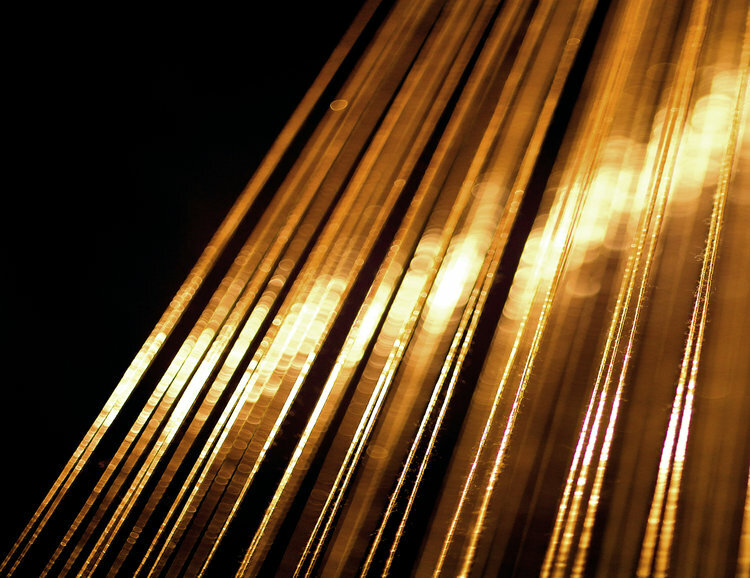 Made from 2500 meters of pure gold thread, its volume corresponds with the 800 tons of exported gold. BOAA's own Gavin Draper has taken of the challenge of translating Ken + Julia's practice into a gourmet dinning experience, accompanied by a selection of wines from Dalwhinnie, located in the Pyrenees region of Western Victoria. Gavin is a French trained chef who has worked internationally at numerous 5 star hotels. Gavin has a penchant for David Bowie and is the author of cook books Omg Gluten Free Gourmet, and Omg Plant-Based Gluten Free Gourmet. Ken + Julia will be discussing their practice and extensive career, which includes exhibited at Venice Biennale 2009, National Museum of Singapore (Singapore Biennale 2013), Abbaye de Maubuisson in France (2014), National Gallery of Australia (2015), Honolulu Biennale (2017), Bildmuseet Museum Sweden (2016), Malmo Museum Sweden (2018), Z33 Belgium (2017), Kenpoku Art Festival Japan (2016), The Armory Show New York (2018) etc.